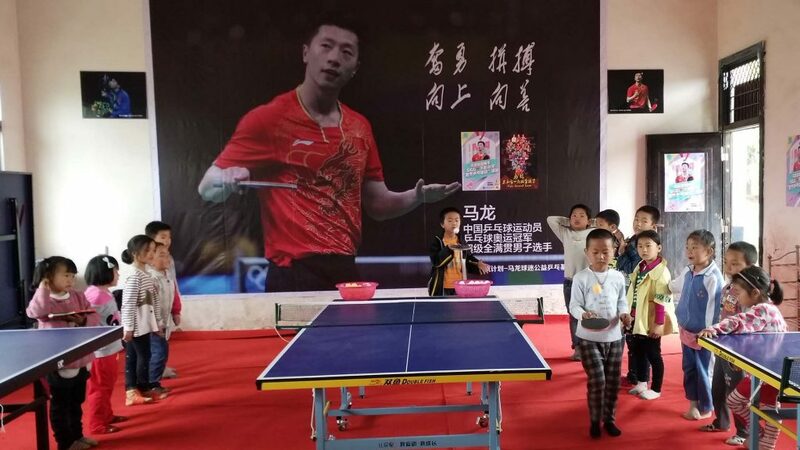 Now well over a decade ago, in 2005 a group of table tennis enthusiasts were captivated by the performances of a 17 year old, the name was Ma Long and what is now one of the biggest fan clubs in the sport of table tennis was formed. The club supports the Chinese star on his world travels, being present when winning gold at the Rio 2016 Olympic Games and when being crowned World champion. However, in addition they have supported Ma Long in efforts to help good causes. Notably, since 2009 the club has raised funds and donated 27 table tennis tables to 22 schools and institutes in need. It has built two table tennis halls named after Ma Long. 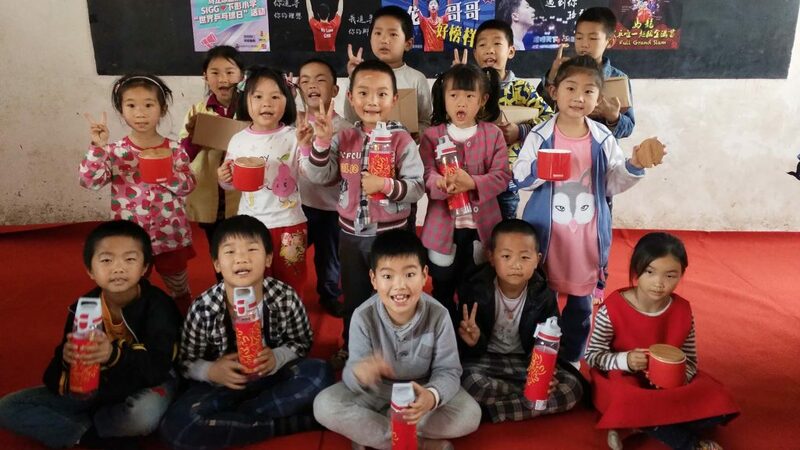 One of these rooms is at the Xiapeng Primary School, located in Xiapeng Village, Hubei Province; it is one of the most destitute areas in China. 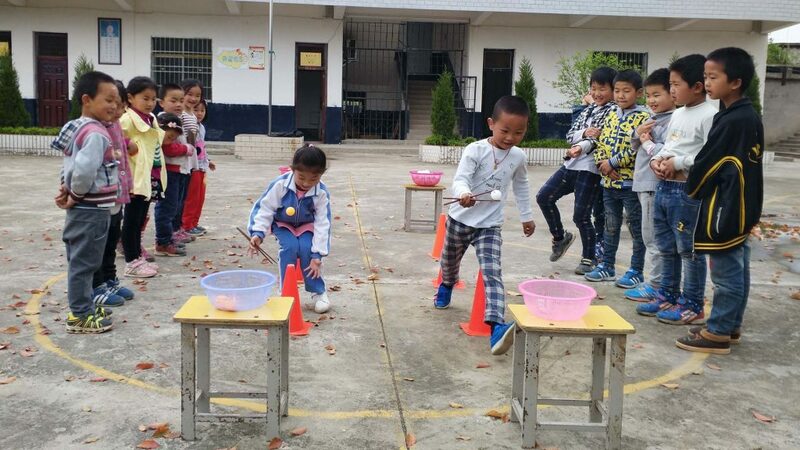 The school was chosen to celebrate 2018 World Table Tennis Day; overall 16 pupils, 10 boys and six girls attended the day organised by the Ma Long Family Fans Club and Captain Long Fans Club The efforts were supported by SIGG and the Yangfan Project. The event started with an introduction to World Table Tennis Day and a review of Ma Long’s achievements. Children also learned about his future goals on and off the table. They learned about his passion for table tennis and charity; also they learned about the hopes of his fans. Introductions over; it was time to play. Picking balls with chopsticks, moving around a table and bouncing a ball continuously were amongst the contests in which the children participated. 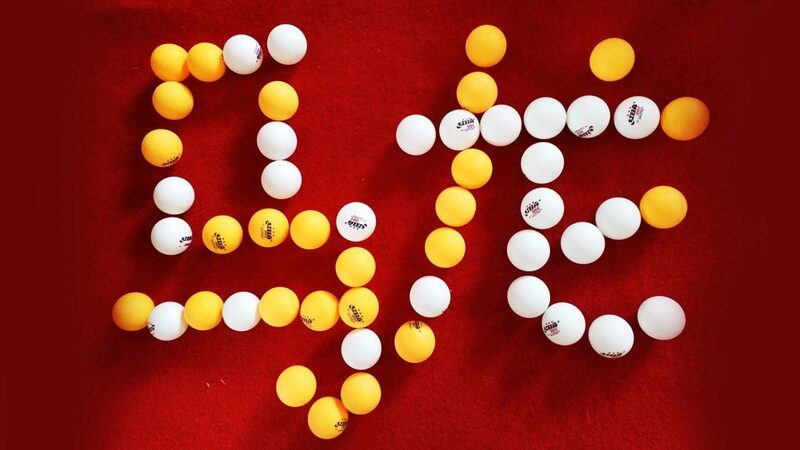 Lastly pupils made drawings of table tennis balls; of course, Ma Long’s name in Chinese was included. All the pupils enjoyed themselves during the event. They exhibited great focus, teamwork and fair play; all participants received gifts from sponsors. They expressed their gratitude to the Ma Long fans and wished Ma Long good luck for the forthcoming Liebherr 2018 World Team Table Championships. Most importantly every child was inspired.